Last October, I received a message via Twitter from a hot dog. This hot dog, calling itself The Beefy Miracle, informed me that the latest version of the Fedora operating system, Fedora 17, was going to be named after it. The voting was close, but Beefy Miracle ended up winning by almost 150 votes, and it was released yesterday. Now, I wasn’t involved in the naming or voting, but I was deeply involved in the original creation of this hot dog, so I thought I’d fill in some of the blanks regarding how it came to be in the first place. And for those of you who were also involved, if you remember additional details, please pass them on and I’ll share them here. I’m not sure how well this sort of installer advertising actually worked, but Red Hat was on the bandwagon too, and this sort of corporate stuff was beginning to sneak in to the company. Mind you, Red Hat also had a history of installer hijinks, dating back to the original option to set up “redneck” as your language of choice in the install process (which I think stayed in there until Red Hat Linux 5.1, but was gone by the time I started working there). 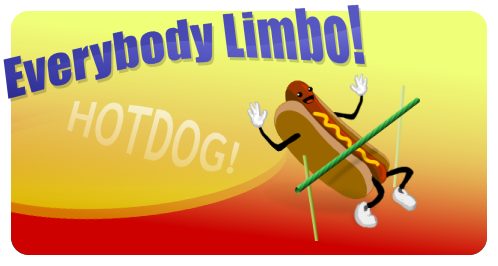 By the next release, the dancing refreshments were gone--I thought forever--until I received that tweet from a hot dog. It was nice to see them again; it had a been a long time. 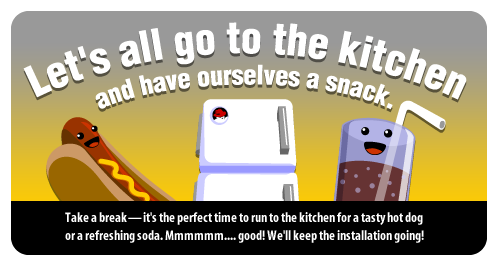 I like the idea of Linux putting the "fun" back into things. I think that was one reason why people like Ubuntu's animal names and openSUSE's geeko. Enterprises may want something more "serious" but the community may be more interested in having fun, while at the same time having all the capabilities and flexibility they've come to expect. Thanks for the background of the Beefy Miracle. I wasn't too enamored by him at first but knowing the back-history, it makes a lot more sense now. Dumb name. Back handed insult to Hindus and Vegetarians.